After me there will be twelve Imams who all come from Quraysh. By taking into account only this one example of tradition, or even not noticing other documents or undeniable and uncountable traditions which exist on the background of Imamate and leadership, it is quite clear that an unequaled personality or Mahdi (p.b.u.h), according to successive and undeniable traditions, is of the Prophets lineage, and at the end fills the world with justice - will be the last Imam of the twelve Imams. For this reason, the history of Mahdi (p.b.u.h), The twelfth Imam of the Imam's of the Prophets household (p.b.u.t) will be explained for every Muslim. 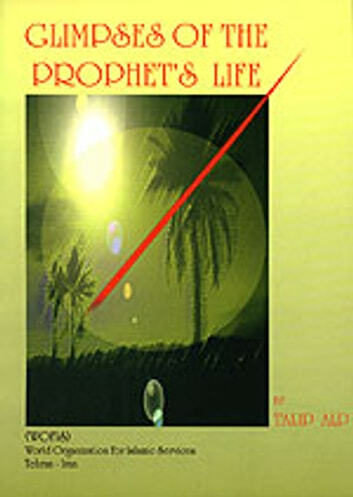 This book is a summary on Islam's promised Mahdi (p.b.u.h). It deals with subject from histories opinion and examines the direction of belief on Mahdi (p.b.u.h) in Islam. Events on his birth, governments effort to kill him, the major occultation, the deputies of Mahdi in every era, a Muslims duty at the time of the occultation and the subject of expectation are all mentioned. In this book we are also acquainted with holy verses and honourable traditions on Mahdi (p.b.u.h) in every background, then, at the end of the book we also observe, as a footnote, the text of those verses and traditions.